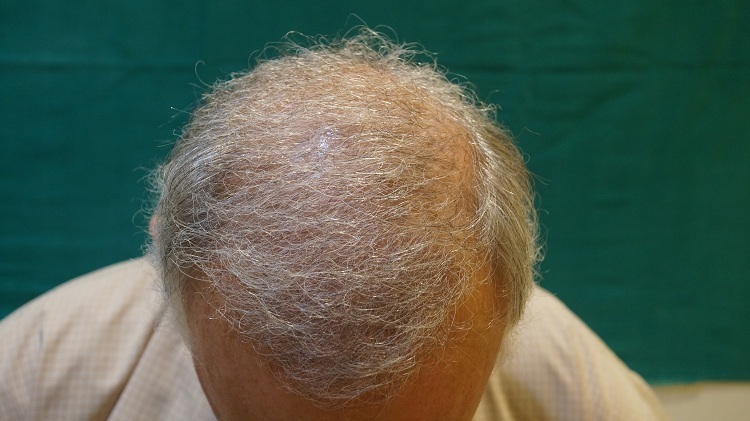 A 63 yrs old male presented with the complaint of hair loss for the past more than 30 years with no active hair fall for 15 years. 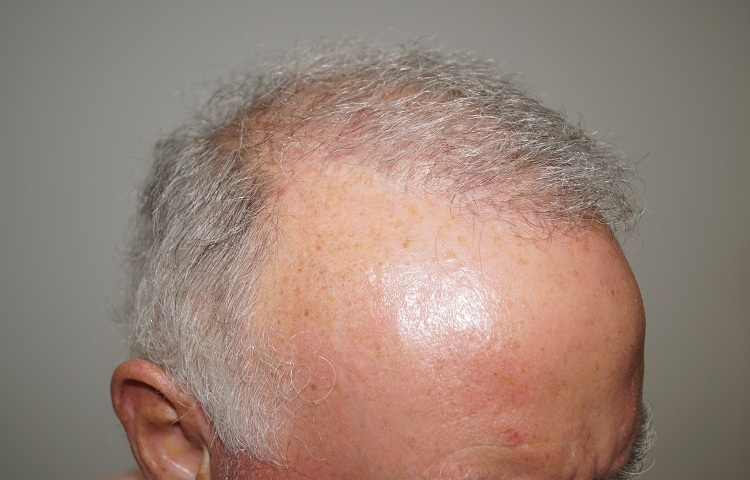 He had already taken 3 sittings of FUT hair transplant before his visit to our clinic. 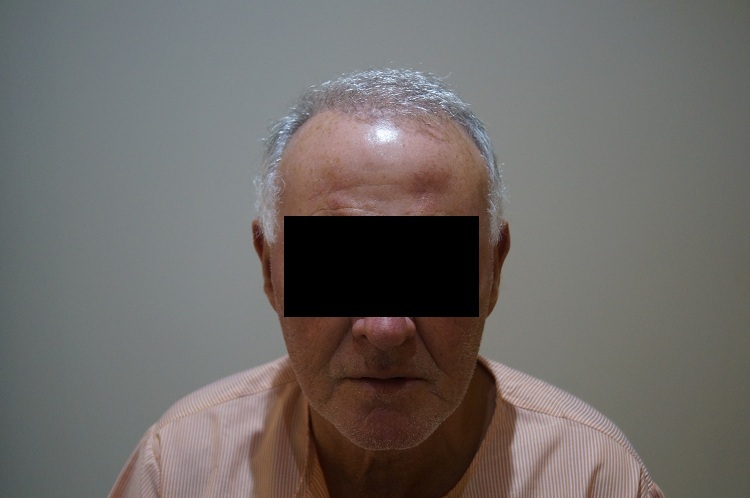 He was not very satisfied with the result, so he wanted to know whether further surgery is possible or not as donor are was too much reduced due to previous multiple surgeries. 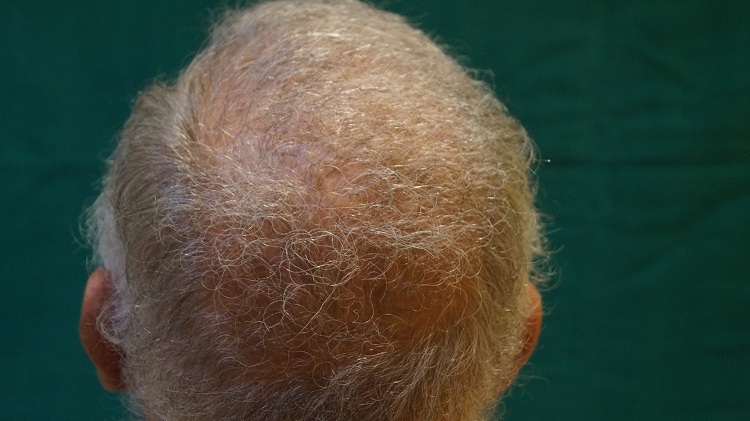 He was NH Grd VI and there was hardly any hair growth scalp. 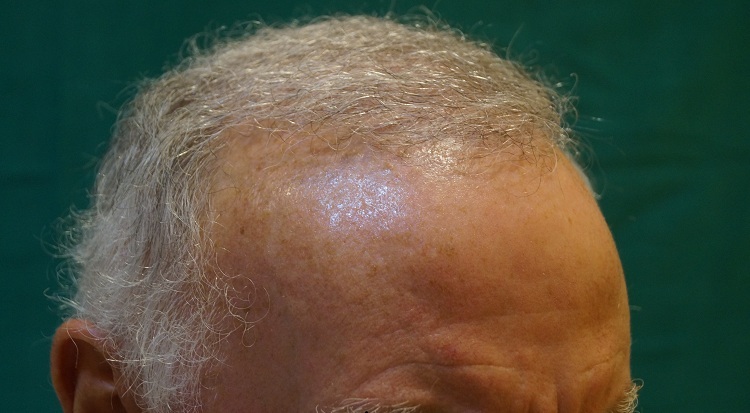 During consultation he was explained about body hair transplantation and he came to know that even hair from beard, chest and other body part could be used to restore hair on scalp. 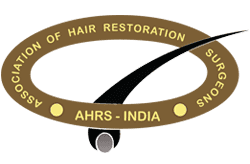 He was also explained about how hair from different body part had to implant in special manner to give it natural look despite the difference in texture of body hair from scalp hair. 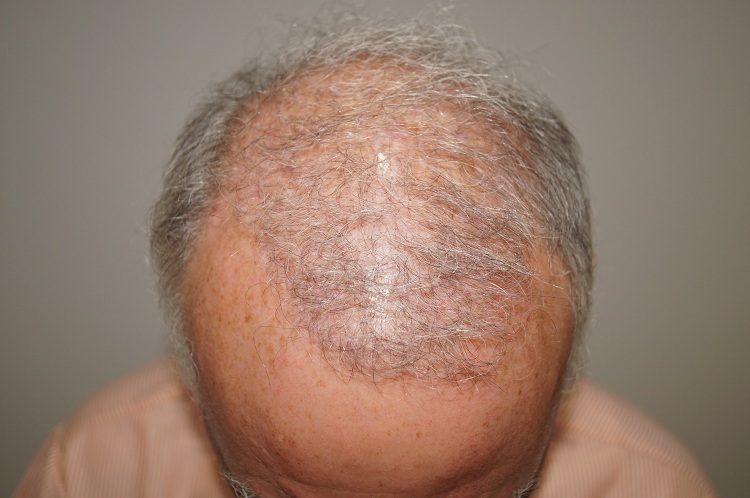 He was very much satisfied with the consultation process and decided to go for body hair transplant. 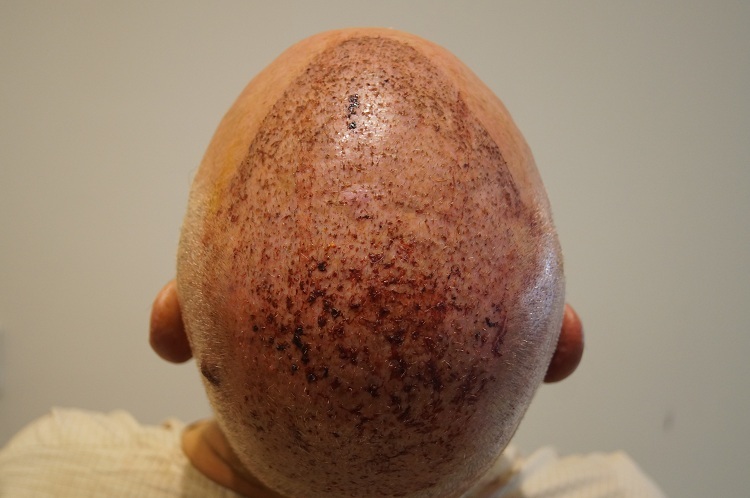 He was given total 1100 body hair grafts (300 from Beard and 800 from chest) by Bio- FUE technique in two days. 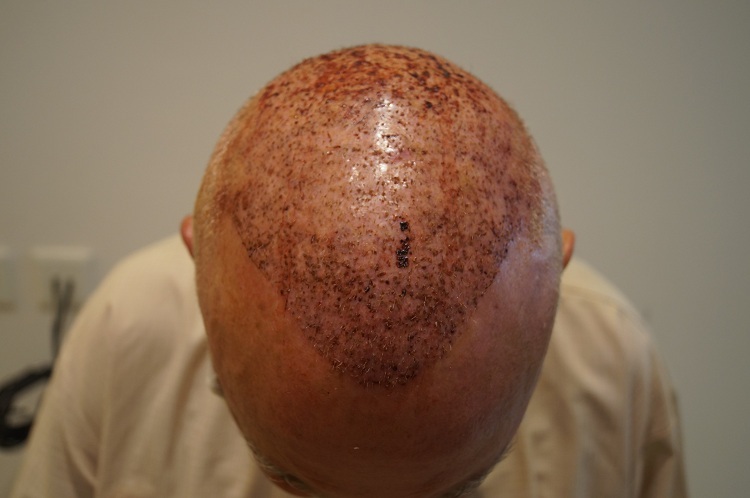 The results of surgery were very encouraging and he decied to go for one more surgery one year later. 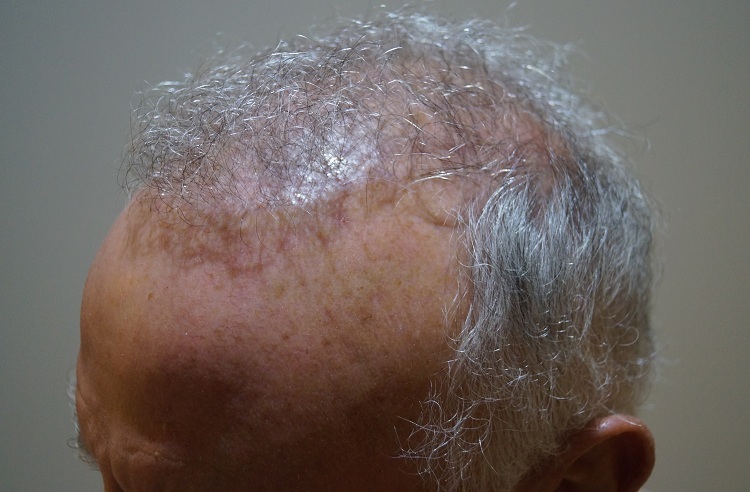 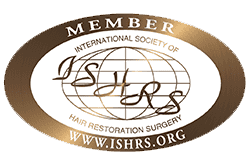 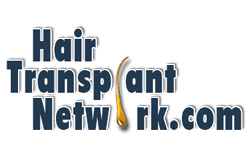 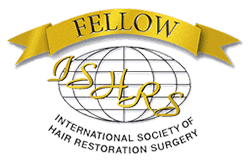 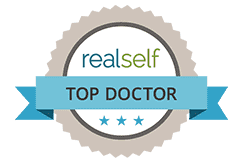 During second surgery he was more confident about the procedure and was given total of 2200 body hair grafts (700 grafts from beard, 1450 grafts from chest and 50 grafts from scalp). 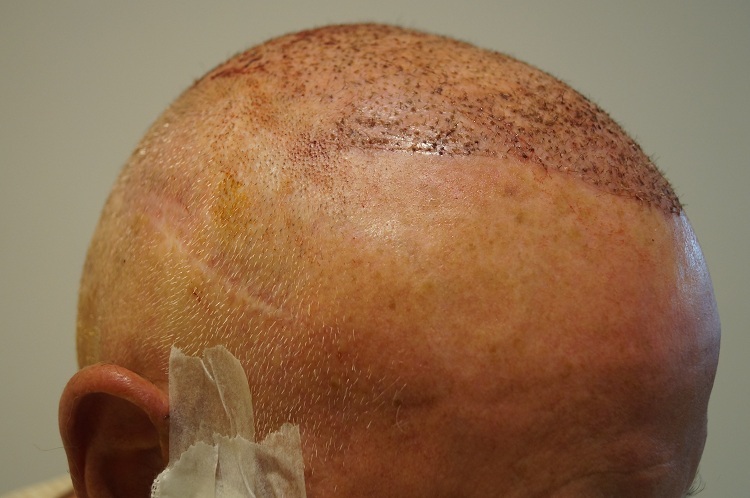 The one year post surgery the result was fabulous and he decided to go for one more surgery. 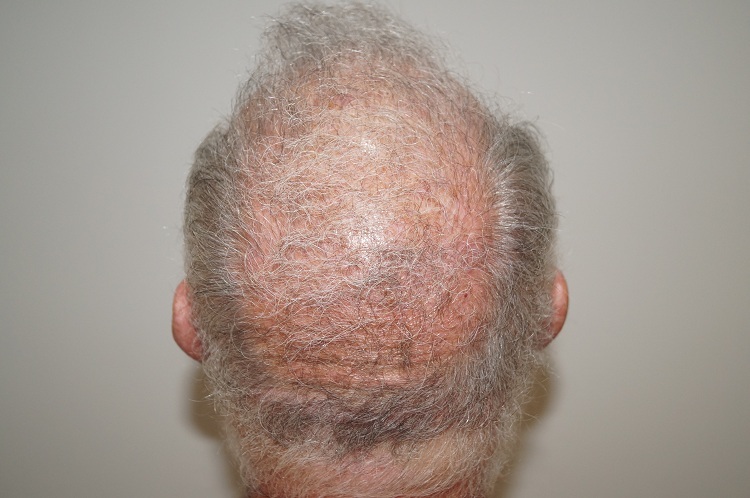 On 3rd occasion he was given total 1130 grafts (830 from beard and 300 from chest). 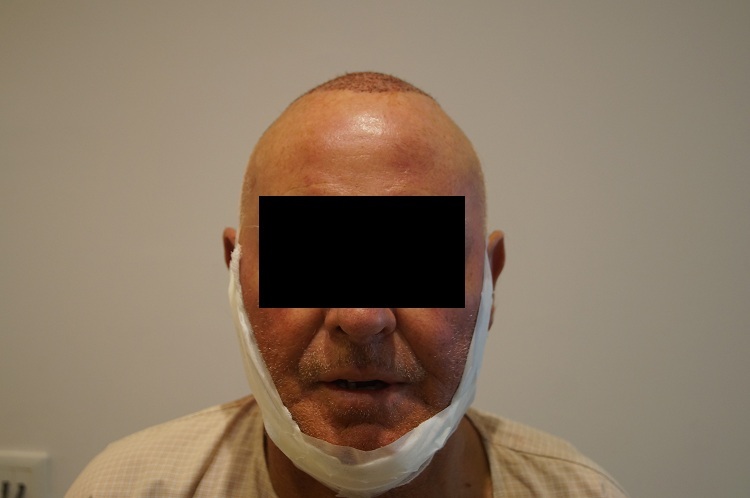 The surgery was uneventful and the patient was discharged in a satisfactory condition. 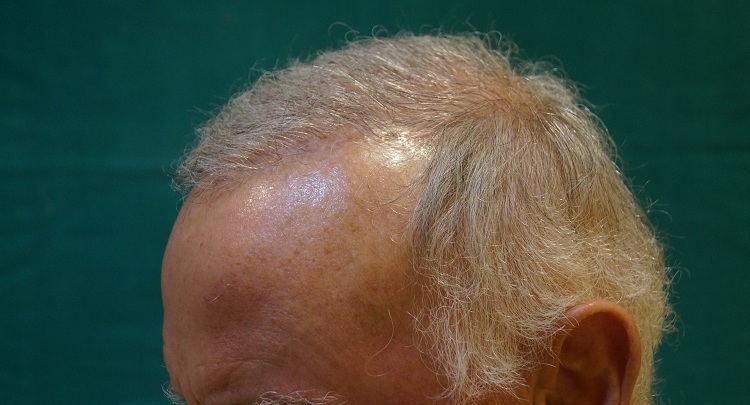 We are hereby presenting his pics. 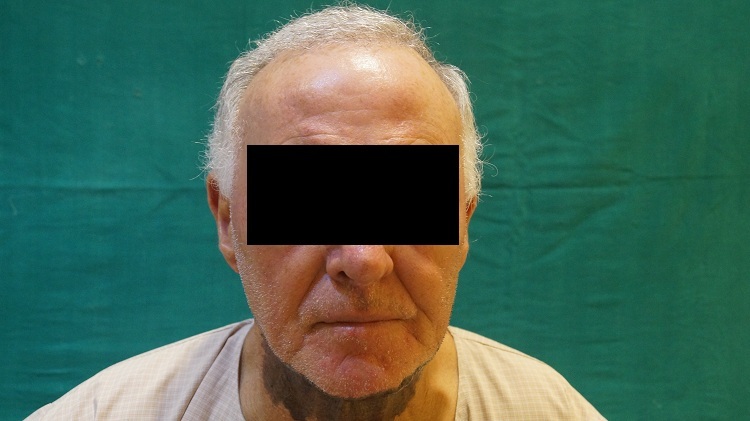 The First set of picture the before one and one is the after surgery and the after pics are the one which he got clicked at the time of third surgery. 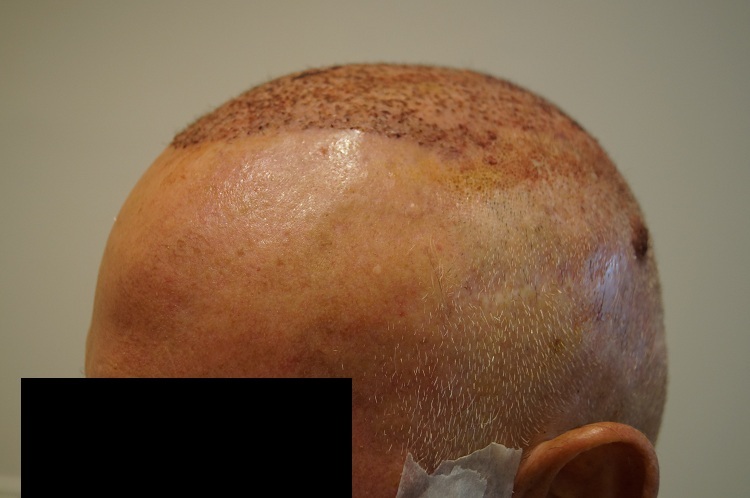 A telephonic conversation with him revealed that he is very happy with the result of this third surgery and was asking if any more can be done again.